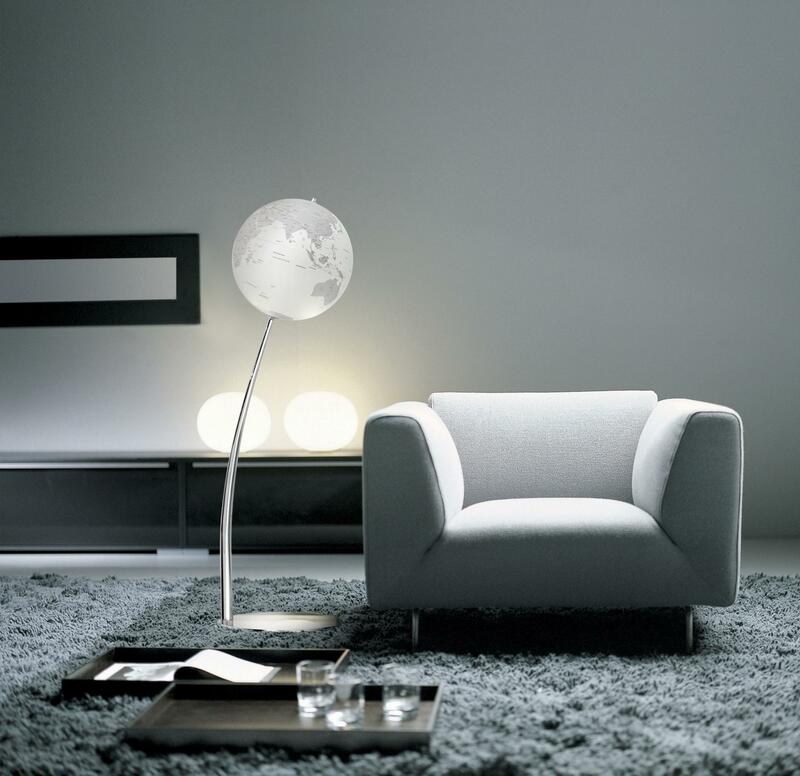 UP is a large floor lamp for both indoors and outdoors (version IP44), completely made of polyethylene by rotational moulding technologies. The aesthetic character of Up is defined by the interpenetration of two volumes: a truncated cone forming the base, and one inserting itself into the upper part. 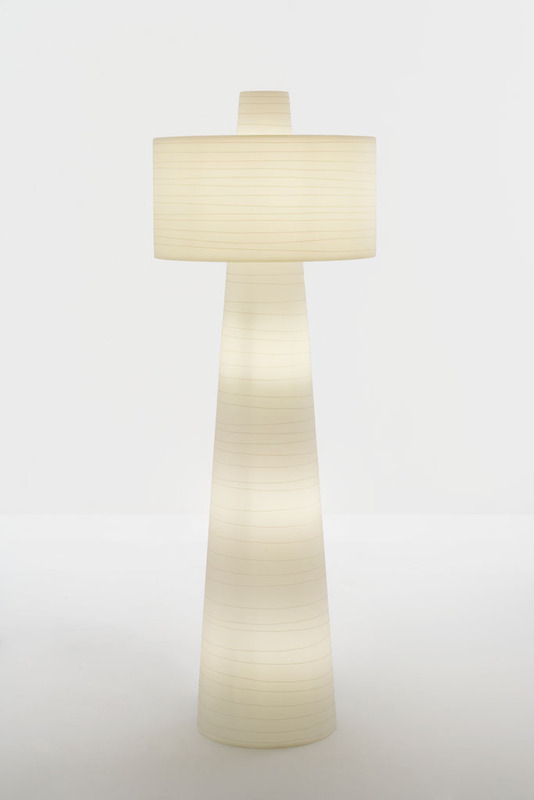 The geometric rigour of forms is made softer and elegant by a subtle embossed decoration that runs in irregular spirals across the entire lamp. 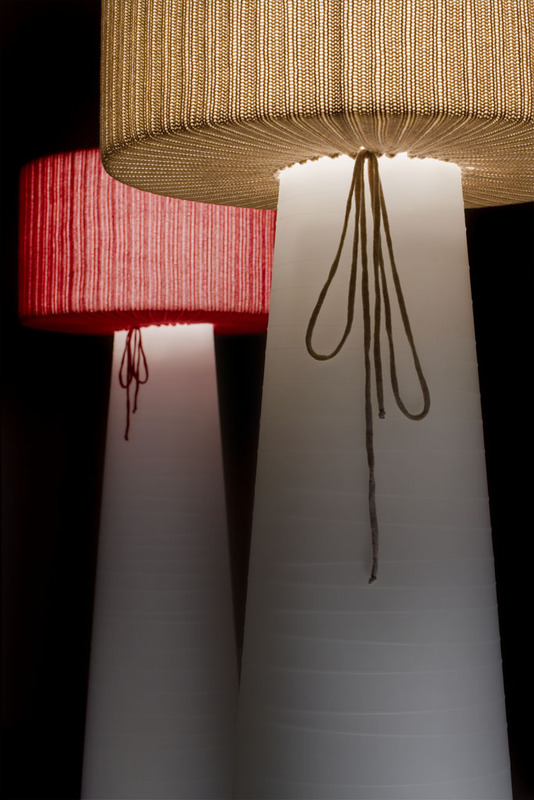 The Up design lives of these geometric forms which merge with one another and, at the same time, are enhanced by light diffusion: base and lampshade can be illuminated at the same time or independently. 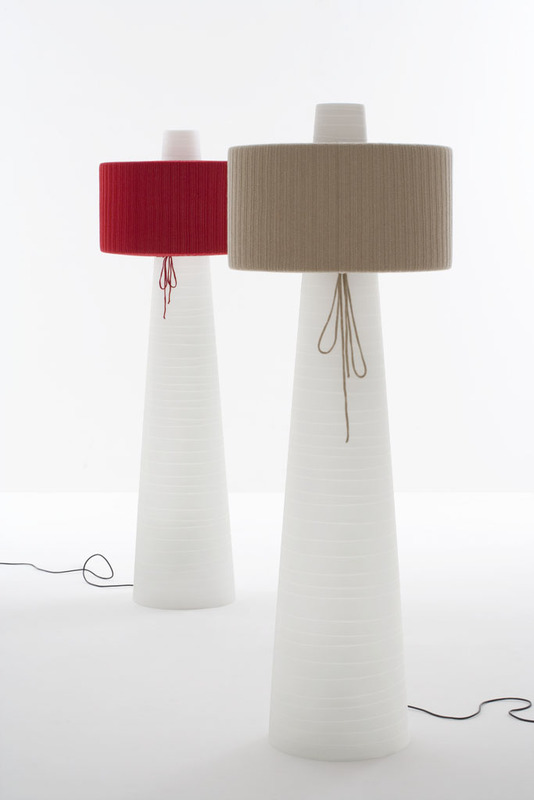 Finish: The lamp is available in white and in ivory—white colour. 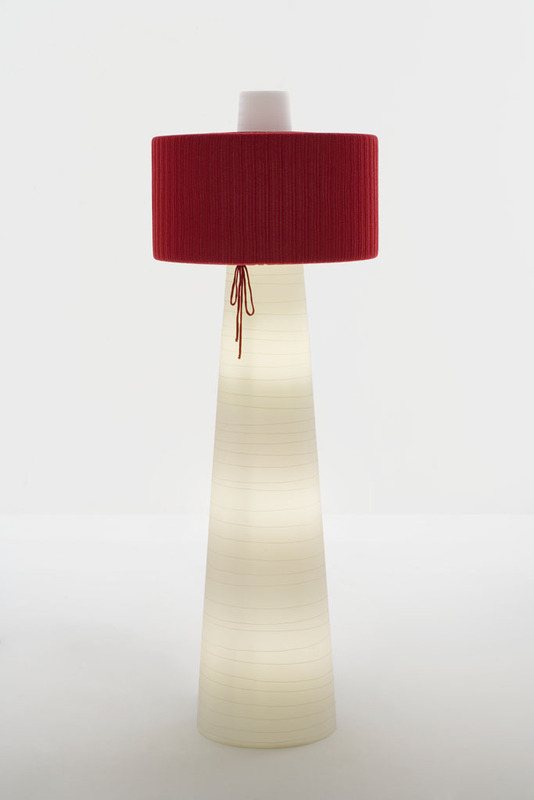 For the indoor version, accessories are available in beige or red rib stitch wool, to upholster the 60 cm diameter lampshade.